When I had Roo I instantly fell in love with all things girly, from tights, frills and anything pink. Finding clothes for Roo has never been a problem, in fact she probably has one or two outfits too many (shhh don’t tell Mr Boo!). I wish that I could say the same for Tigger… I am sure that I am not the only mum to a little boy that struggles to find anything suitable for them. Tops I can just about lay my hands on but trousers and jeans are difficult. 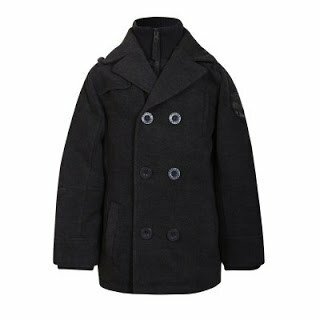 With winter fast approaching a new warm winter coat is needed however I can only seem to find one maybe two designs in stores whereas if you walk down the girls aisle there are at least five or six. Yellow Mellon have come to my rescue and have a wide range of clothing for both boys and girls in a variety of styles to suit most people. With low prices I’m sure that you will be amazed at what you can get for your money. One of the first things that caught my eye was the selection of winter coats, with a lovely double breasted jacket for Tigger. Perfect for keeping him snug and warm over the winter months. 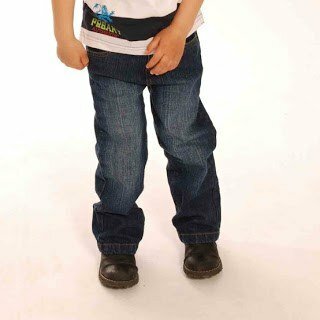 I often struggle with when it comes to buying jeans as many brands now don’t have the adjustable waist so I have to rely on belts. So I was pleased to see that many of the style available either had an adjustable waistband or were elasticated. I really liked the faded look to the front of these jeans, having that lived in look whilst still looking great. Whilst I love pyjama’s and quite frankly I’d be lost without mine, I do love children in sleepsuits/onsies. I suppose in a way I am attempting to keep them my babies forever. So when I spied this gorgeous Thomas the tank onsie I just knew that Tigger would look adorable in it. Something we love to do as a family is to all snuggle together on the sofa in our dressing gowns and watch TV. Also when they are just dressed from a bath, I love to get them all snuggled in their dressing gowns ready for a story before bed. 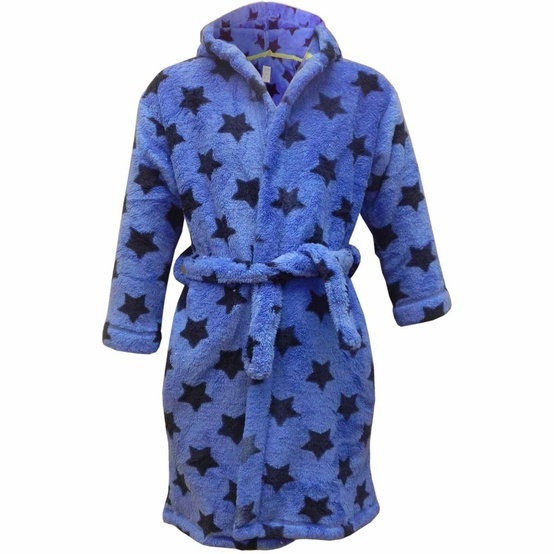 This blue star dressing gown looks so soft and cuddly. I found the sizing to be quite generous, with Tigger being quite tall for his age I ordered 2-3yrs and I can see that these will last him throughout the winter and long into the new year. I was impressed on how much you can get for your money, especially when you compare it to some highstreet stores/brands. Whilst a couple of the items are a little on the large size for Tigger at the moment it does mean that he will get the extra wear out of them. 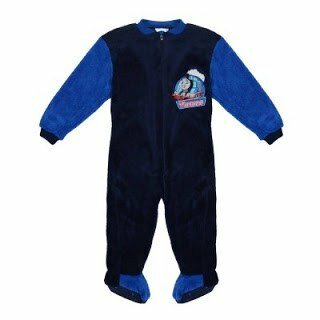 The Thomas onsie is soft and snuggly, it is roomy enough for him to wear a sleepsuit/pyjama’s underneath to keep him extra warm when he decides to kick the blankets off in the night. With a great selection of clothing and competitive prices why not pop over to see how much you could save.